Yes, I know, anything can be used as a USB Flash drive case. 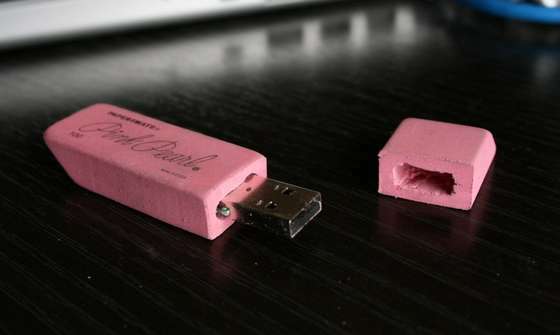 And yes, you’d want to keep eraser crumbs out of the USB port. I like it anyway.